The Super Smash Bros. series is one that transcends videogames. As series director Masahiro Sakurai has repeatedly stated, each new game is a miracle. Seeing Mario, Sonic, Pac-Man and Cloud Strife duke it out on Pokemon Stadium 2 celebrates not only the legacies and influences of each character, but also the continued support and cooperation the video game industry has flourished into – a far cry from the Console Wars of old. It is no exaggeration to say that, to many, seeing such a vast array of unique and iconic characters in the same game is a dream come true. Super Smash Bros. Ultimate was hailed as the definitive edition of the hugely popular crossover fighting game; boasting a roaster of 74 playable characters and 103 unique stages, you’d be hard pressed to say this wasn’t the case. That's why we've enlisted the help of our writers to create the Ultimate Super Smash Bros. review! ‘Everyone is here’. That was the tagline of Smash Ultimate. 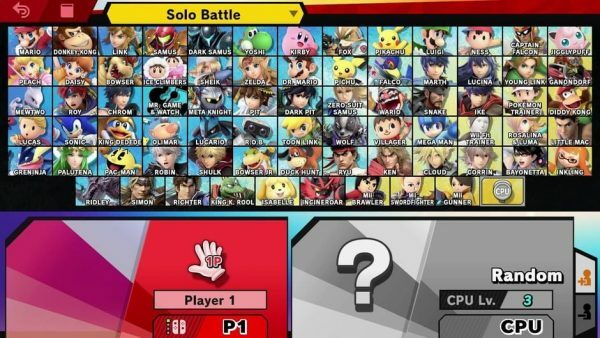 And although everyone is going to have complaints when their favourite character doesn’t make it into the roster, myself included (you’ll always be playable in my heart Waluigi), the selection of characters is truly incredible. Adding every character from every previous Smash game makes for an absolutely enormous roster that’s bursting at the seams, and there’s even more coming up, with DLC and bonus cast members coming soon. Piranha Plant and Persona’s Joker are to be added soon, and fans, myself included, are waiting with baited breath for each and every one of these additions. Both the excitement of trying out a new way of playing and seeing what impact these have on the metagame, this, along with the already enormous cast, will help keep Smash Ultimate feeling fresh for a long time yet. What’s the most exciting thing about this selection of fighters to choose from though? The fact that every single player will be able to find someone they enjoy. Personally, I’ve found Bowser’s raw, brutal power to be an extremely fun way to play, with Jigglypuff’s rest being a fun alternative strategy for me. It’s super cool that everyone’s playstyle, whether they’re new to the series or a seasoned expert, is catered for in Ultimate. And boy is it fun. We all know that one of the main draws of the games has always been sitting around with you friends and beating them with various amounts of glee, frustration and trash talk. However, in Super Smash Bros. Ultimate, that frustration now extends to the World of Light, a new single player story mode. The story isn’t complicated, as it basically revolves around all playable characters in Smash, along with every ‘Spirit’ of any Nintendo, Sega and other large developers characters, being captured by Galeem. All except the lovable pink orb, Kirby. You play as Kirby until you unlock other playable characters, beating different levels based on the characters and Spirits you unlock. For example the Chorus Kids are represented by 3 Jigglypuffs who just love to sing and send you to sleep. This mode is hilarious and fun at the best of times but incredibly challenging at the worst. There doesn’t always seem to be a rhyme or reason why one may be super easy, when others are insanely difficult. A fun new take on these battles are the aforementioned Spirits. Although they do act as a sort of collectable with over a thousand available, they also are incredibly useful in World of Light. They give you abilities and items which might just give you enough of an edge to win that one fight you’ve been struggling with. 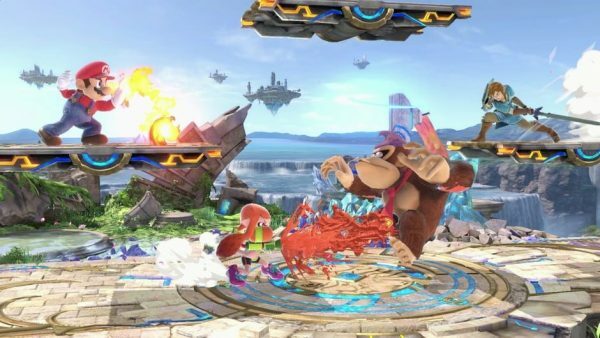 Levels may have poisonous floors, high winds that threaten to blow you off of the stage or your opponent may start breathing fire (I’m looking at you, Curry Charizard). All these situations will have a corresponding Spirit or two, which make the level a little easier. Of course it’s perfectly possible to beat any level without Spirits, but it may legitimately take you the best part of a year to do so. All in all however, I loved playing the World of Light and am yet to finish it. It’s refreshing to be angry at a CPU rather than my friends. Super Smash Bros. Ultimate is made to be played on a sofa with your mates. How else am I meant to see the looks of complete misery in their faces when I down-smash them directly into hell, or when I swallow them and perform a murder/suicide by jumping off the ledge. I wrote recently about the absolute joy of wrecking your friends in Super Mario Party, but compared to Ultimate, Party bush league. There are even more options this time around for destroying the hopes and dreams of your closest peers, such as the fantastic ‘Squad Strike’ mode, which forces you to put together an Avengers-esque team of your best fighters to fend off an opponents team. This is probably the mode that I play most often, because it means I can prove I’m not only good at Ultimate when I’m playing as a huge penguin. I haven’t even bothered the online mode yet, and it’s not only because I can’t be bothered to buy an online subscription, or that whenever I’ve played online fighting games in the past I’ve ended up crying myself to sleep. The main reason I haven’t bothered is because, like I said, Ultimate is meant to be played together. For my money, any game that brings people together like that is worth the occasional stress-induced heart attack or Joycon shaped hole in the wall. 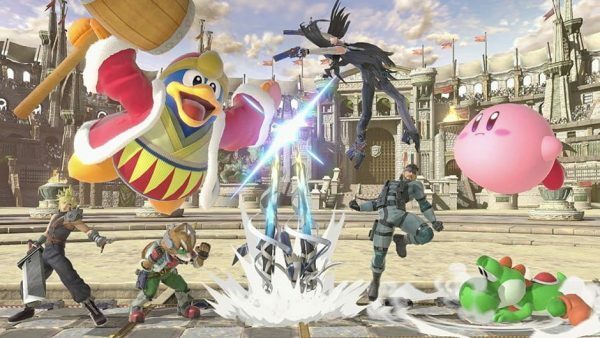 Of course, with a fighting game like Super Smash Bros., one of the most keenly anticipated aspects is its online capabilities and how one can take the fight global, whether casually or competitively. Sadly, just like previous games, it appears to have fallen slightly short, a crying shame for a title with such obvious online potential. Since the game has released, issues of input lag and online lag in general have, admittedly, improved – yet in a fighting game that relies on fast and specific movements, lag of any kind is a cardinal sin. Online matches are played peer-to-peer, meaning that if you have a good connection but your opponent has a bad one, you’ll both maintain that bad connection. This is a real issue and cripples the match, resulting in a game that isn’t fun and compromises global scores. Luckily I’m not too competitive so my score dropping doesn’t greatly upset me, but it is still disheartening nonetheless when an opponent wins an undeserved victory through no fault of your own. Before beginning a match, each player selects their own ruleset and they are matched up to somebody with a similar sense of rules, whether that be many or few. In the early days of Ultimate you were virtually always guaranteed to be disappointed, matched with somebody who possessed none of the rules you were looking to impart upon the match. Yet now this has changed via patches, and very rarely are you getting rule selections completely different to desired. Nintendo is certainly maintaining the game as it grows, optimising the online experience. 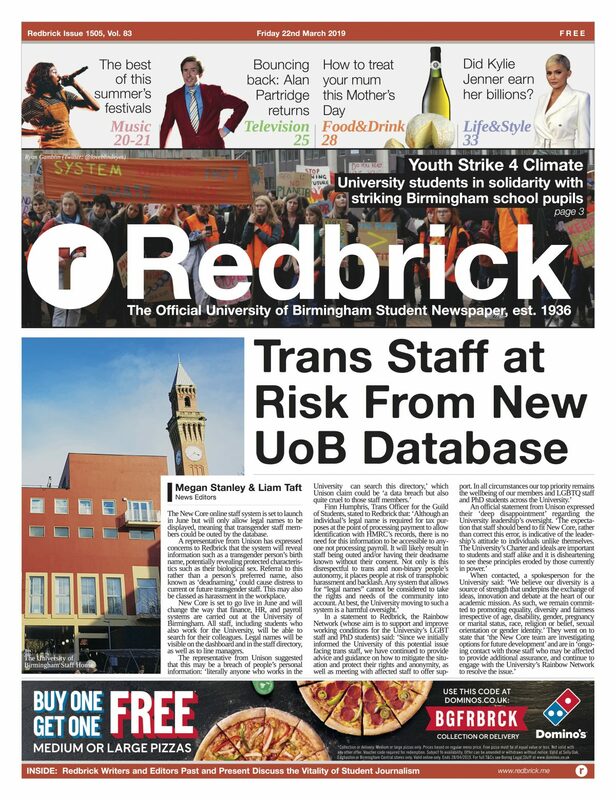 It is good, but still not perfect – time will tell whether any more quality of life improvements are brought in. Like the previous game in the franchise, Super Smash Bros. Ultimate looks to offer DLC over the next few years, increasing the already vast amount of characters, stages and musical tracks. Five ‘fighter packs’ will be released throughout the coming months, with the roster being complete by February 2020. Each pack includes a fighter, a stage and an associated music track. Key to note is that these fighters are unique fighters built from the ground up, not echo fighters that share traits with those already on the roster. This will bring the total number of characters to a whopping 80, cementing Ultimate as the most representative videogame crossover of all time. These packs are available for £5.39 each, or together as a bundle for £22.49; an economical price for the value of the expansions, especially given Nintendo’s recent track record with porting older games, making tiny changes, and then charging full price for them again. The first of these confirmed fighters is Joker from Persona 5; given the fact the game is (at the time of writing this) exclusive to the PlayStation, his inclusion is astonishing yet an extremely positive sign for the future of the franchise. As with Cloud Strife in Super Smash Bros. for Wii U and 3DS, the barriers for which characters can be included are lifting, building a remarkable embodiment of the videogame industry which only looks to grow. Sakurai has stated Joker’s inclusion is ‘emblematic’ of the types of characters the team wanted to add to Ultimate, showing the care and attention presented to not only the IPs they’re managing to represent, but also the fans who are more than happy to welcome the console-transcending brawls with open arms. All in all, Super Smash Bros. Ultimate is the most stellar and jam-packed game in the franchise. Despite slight online mishaps, the title offers an insane amount of content and acts as a remarkable and robust celebration of videogames. This is on top of maintaining its simplicity and enjoyment, whether locally or playing across the world. This is an essential Switch game and will continue to flourish throughout its life.